Bedfordshire and Huntingdonshire run table cricket competitions. Aimed at young people aged between 14 and 25, the programme and competitions target schools and colleges where there are a number of students with either a physical or learning disability. By delivering a number of weekly or fortnightly sessions during the winter terms, schools and colleges benefit from the student engagement while learning a new skill. At the end of the regular sessions, Bedfordshire and Huntingdonshire run their own individual county finals day where the competing teams play a round-robin event with a county winner being crowned at the end of it. The winning team from each county competition is then invited to a regional finals day with that winner representing the region for a national finals day, held at Lord's Cricket Ground Nursery Pavilion. 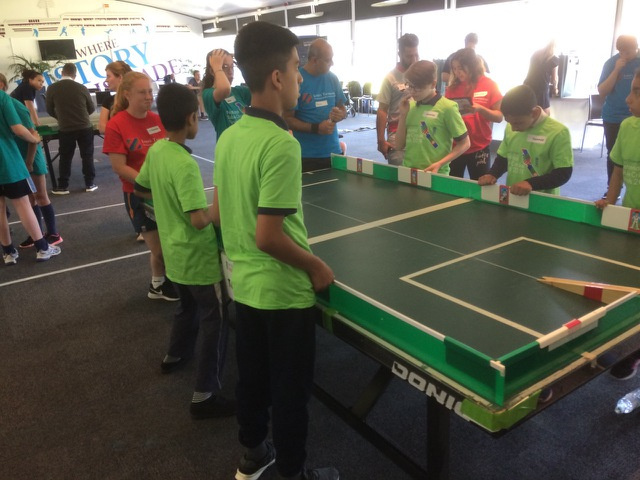 In 2018, we congratulated Denbigh High School in Luton who after winning their Regional Finals in May, achieved a very respectable seventh place at the National Table Cricket Finals Day on Thursday 21 June at Lord’s Cricket Ground. For more information on Table Cricket please visit the Lord’s Taverners website, HERE.